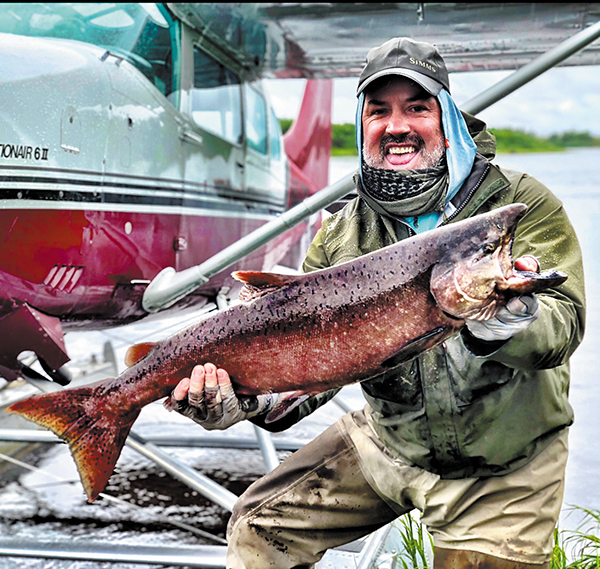 An avid hunter and fisherman, Dr. Blake Chandler shows off one of his catches while on a fishing excursion in Alaska." When Blake Chandler, MD, headed to medical school, he did so with the support of his family, friends and his hometown. 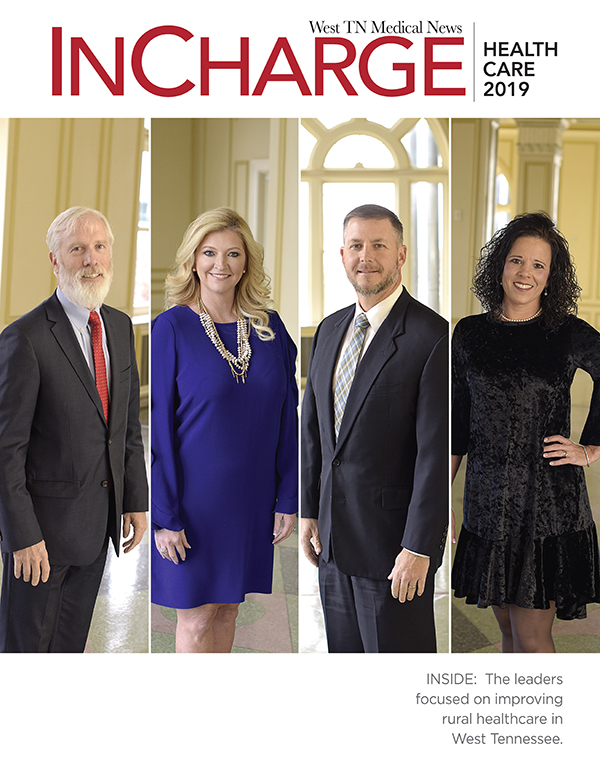 As an orthopedic surgeon with West Tennessee Bone Joint Clinic in Paris, Tenn., he is giving back to the community that played a big role in making him the man and doctor he is now. Puryear, which is only a hop, skip and a jump from Paris, is where Chandler and his brother grew up and where his parents still reside. His father worked for the City of Paris and his mother was a first-grade teacher for 36 years, and he was the first in his family to be interested in medicine. Chandler admits he has no idea where his interest in medicine, which began about the age of five, came from. "My aunt asked me when I was little why I wanted to be a doctor since I did not like the sight of blood. I told her I would just turn my head and cut which was a bit ironic because who knew I would turn out to be a surgeon after all," he said. "At the age of 17, I had the chance to shadow the only surgeon in Paris, Dr. Tom Minor. He was a true surgeon in that he had to do everything. I knew then that surgery was what I wanted to do." After graduating from UT-Knoxville, Chandler went to medical school at East Tennessee State University in Johnson City with a little support from back home in the form of a scholarship from Henry County Medical Center. With the scholarship came a commitment to return to the area to work a year for each year he received the scholarship. It was in his third year of medical school that orthopedics rose to the forefront for Chandler. "I was sitting in the surgery lounge when a surgeon came in and said he needed some help. I had no idea what I was walking into," he said. "It was a hip replacement and that was when I knew I wanted to be an orthopedist." Residency training brought Chandler back to West Tennessee and the Campbell Clinic in Memphis. At the end of his residency, Chandler knew he was ready to start practice and, while he was committed to returning to Henry County, he did not mind because not only was it home, it also afforded the avid outdoorsman physician ample opportunities to hunt and fish. While he had the support of the hospital, starting his own practice did cause him some anxiety at first. "I had no idea what I was getting into. I just showed up with a tie on in my white coat and the other doctors laughed at me," said Chandler. "They said you aren't in Memphis anymore and that I was a country doctor now. So, I took off the tie and coat and got to work. The first day I had 25 patients and it has just gotten busier ever since." In 2001, Dr. Russell Boyd, a general surgeon, and Chandler joined forces to start Surgical Specialists of Paris. 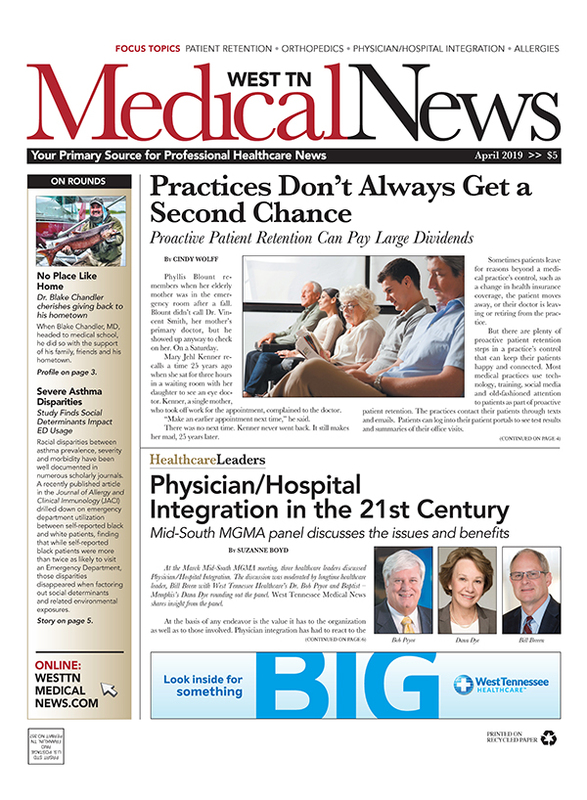 Each physician's practice grew to the point that they each needed their own office space so the practice split. Chandler's practice became Bone and Joint Specialist of Paris for the next 14 years. 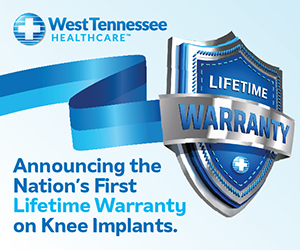 Five years ago, he merged with West Tennessee Bone and Joint in Jackson and has since added another orthopedist to his office, Dr. Kyle Stephens, another native of Paris. They also see patients in their satellite office in Union City and perform surgery in Paris, Martin and the surgery center in Jackson. "Insurance, contracts and just the politics of medicine were making it hard for a sole practitioner to survive. They were looking to expand their brand and I knew they were a great group. I had gone through residency with some of them and it was the solution I had been looking for," said Chandler. "I have a lot of autonomy, but it also has taken the administrative burden off me. My former office manager is still with us but now his role has expanded to CFO for the entire group." Coming back home gave Chandler opportunity to give back to the community that gave him so much. He serves as the team physician for all sports for his alma mater, Henry County High School. "It is impossible to say how rewarding it is to be able to help someone who helped me become the man I am today," he said. "Paris is such a wonderful community and coming back home was the easiest decision I have ever made. Doing my residency in Memphis showed me I am not a big city kind of guy. I could not wait to get back to this small town in Northwest Tennessee." Henry County is also home to woods and lakes which also feed the outdoorsman in Chandler who grew up on the lake, duck hunting and fishing. "I love being outdoors and some of my favorite times as a child were hunting and fishing trips with my brother and dad. I also take an annual trip to Canada each Fall to hunt geese, and have made several fishing trips to Alaska," he said. "If I am not in the office, then I am trying to figure out how to be hunting or fishing, unless of course the Vols are playing football, then that is where I am."